Don’t have time to read? Listen to this article instead! I’ve been teaching writing workshop for four years now with no formal training. 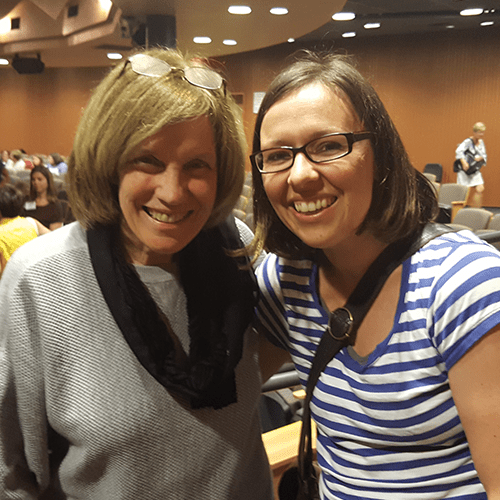 Last week I attended the Summer Writing Institute in NYC organized and facilitated by the leading think tank in writing instruction today, aka Lucy Calkins and her incredibly inspiring and talented crew. Here are the TOP TEN most important take aways from my week at the Writing Institute…. So what is essential? Throughout the conference the following was repeated in various forms (meant for both students and teachers): 1. Write massive amounts (at least 15 minutes a day), 2. read massive amounts (more than 15 minutes a day), 3. study author mentor moves closely, by doing all of this you will 4. develop an identity as a writer who makes sense of the world and even changes it, through writing. Yes, I too can be a writer, like my heroes, like Lucy Calkins. Throughout the conference we wrote the way we expect our students to write. This was an eye-opening experience. 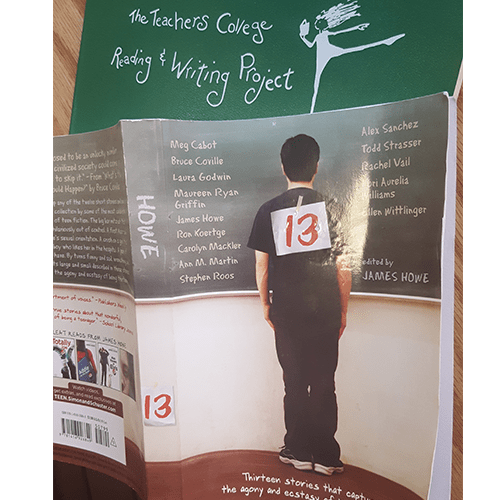 At first, I stared down at the pristine notebook page while fear, embarrassment and stress intermingled with flashes of empathy for my students grew. Somehow, I managed to write a three page draft. A few of my colleagues were unable to even do that. It is incredible to realize how truly similar we are to our students. 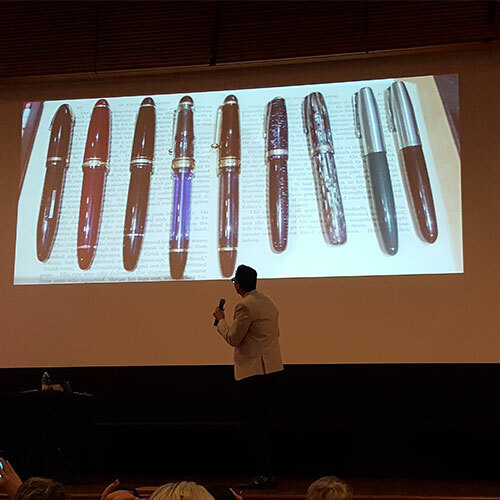 Every teacher and administrator who attended the conference was given the opportunity to submit their narrative piece for over one thousand teachers to hear during the last day celebration. Only one hundred teachers chose to submit their writing and five were picked to read aloud. I was shocked at how few teachers chose to submit their writing. Yes, I was one of the one hundred who submitted. However, I was not one of the lucky (or unlucky) five to read my narrative out loud. Interested in what I wrote? Find it here. I learned through this process that my stories are incredible and engaging teaching tools. I also learned not to give away the whole story in one sitting with students. Let them beg to read more and build excitement for the next day’s mini lesson story! Teachers can and should write about an array of things. Not sure what to write? Can’t remember anything? Do what you tell your students to do-make lists of anything and everything: memorable events from your childhood, important people, places, worsts, firsts, times of adversity, deaths, adventures, scary moments, relationships, humorous events, times of beauty or sadness, natural events, facing fears and sports stories to name a few ideas for you. I am guilty of changing lesson plans because I know students will dislike it and the moans and groans pierce my teaching soul. I want students to love my class and all that we do. However, this is impossible. Writing can be daunting and frustrating and students need to experience and work through those struggles and find pride and satisfaction from completing a difficult journey. Just like you have to let your two year old struggle to take their shoe off in order to learn, you also have to let go and quit spoon feeding students sentences to put in their writing. Spoon feeding comes in the form of writing prompts, worksheets, assignments and essays. Just quit it. Let students write the way real writers write, by writing! It’s all so plainly simple. Of all the people I heard speak at the conference Mary Ehrenworth was my favorite. She obviously knows the realities of a teacher and frequently shocked the audience with statements that hit home for all of us. The Units of Study is only a guiding tool for those new to writing workshop. I’ve always known this but worried that if I didn’t say it exactly the way it was stated in The Units of Study my students would miss out on something. But, when I read script from the teachers guide it was blah, blah, boring! I began reading The Units of Study to soak it all in and then taught mini lessons in a way that evoked the stories important to my class and I. At one point during the institute we were asked to read a mini lesson from The Units of Study and then teach it to our colleagues. Many, many teachers struggled to do this. It was critical thinking for teachers. How could we read something and then make it our own? I found myself doing what I always do. I wrote three or four key points and then went with it in my own way, with my own stories. It was so gratifying to know that the leaders of writing instruction, the gurus, were urging us to make the units ours. Oh how I loved hearing this! It was one of those magical moments during the conference when all felt right with the world and I was ready to go back to the classroom after only a week of summer. Mary informed us that if our mini lesson takes 40 minutes to plan, we should know we went overboard. But how is it possible to plan a ten minute mini lesson in ten minutes you may be wondering!?! Well…maybe a reread of number #4 will help. Just read the teaching points for each mini lesson and make the lesson yours and your students! 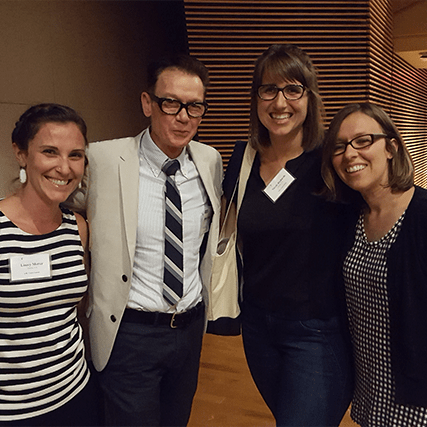 Jack Gantos, as a child, was one of those kids who says “My life is not interesting enough to write about.” He spoke of the crucial moment in his life, after reading Harriet the Spy, when he realized he had everything to write about! The story of how he came to be the writer he is today is one I plan to share with my students in September for sure. His journals, pens, life stories, maps and lists are so inspiring to not only young writers but old as well (me, lol). When deciding on where students will do their writing try not to organize it too much or create too many forced systems. 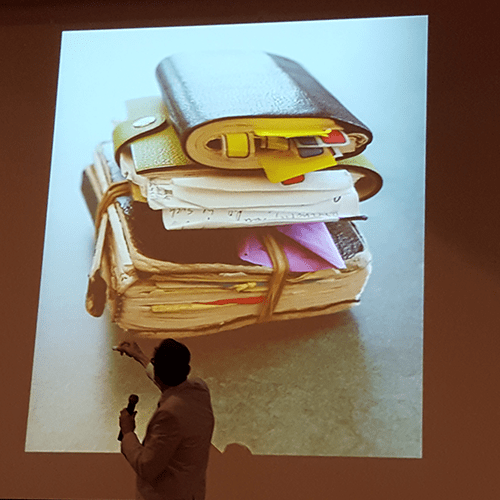 The more freedom students have to organize their journals, the better. Writing should be an authentic experience for each student. Did you know that Pam Munoz Ryan, author of Esperanza Rising and the 2016 Newbery Honor book Echo, read Valley of the Dolls when she was 11? Hilarious right? She was a ravenous reader as a child and spoke about making meaning of her grandmother’s life and history by writing Esperanza Rising. A parent group from one school district decided Esperanza Rising should be placed on the banned books list because her and the author of One Crazy Summer were said to be “contentious, inappropriate and dangerous”! She is one among a handful of authors who write from diverse points of view. She gave us an important reminder: teachers need to find books from all walks of life to put into the hands of our students. A wonderful book called Thirteen by James Howe is a great place to start and was a free gift given to all attendees of the conference. It includes thirteen short stories written from many viewpoints about the agony of being 13 years old. Some could even be used in fifth grade. I couldn’t believe my ears when I heard Mary Ehrenworth say that rubrics are NOT useful for students and that as teachers we should only choose one or two components of a rubric for each unit. She also let us know that we should not be wasting time creating our own complicated rubrics and that students need to have simple checklists in hand rather than rubrics. I have recently changed the way I go about using rubrics. To be perfectly honest, I don’t use the rubrics from The Units of Study. I’ve developed my own system over the years since attending this conference. Here’s what I do…I give students a pre-assessment that they get full credit for doing. I tell students that this piece of writing will not be assessed based on skill but rather is a tool for me to plan our next unit. After students have written their piece (I only give them one class period) I look over them and list skills I notice most of my students need. Then, I create a single point rubric that covers those skills and teach mini lessons using this rubric, referring to it each day of the unit at the beginning of each of my mini lessons. Learn more about single point rubrics here: 10 Ways to Make Grading Writing Easier. Students need regular opportunities to assess their own writing. This is not a novel concept. However, students often check off skills nonchalantly without ever reflecting on if they actually did in fact try the strategy or skill! Students need to prove they tried the skill by annotating their own writing. They can use post-its and pointing to places in their writing with writing partners and teachers to show how they are using skills from the checklist. Another amazing and life changing point was that for every ten pieces of writing a student produces, teachers should formally asses ONE. Yeah. How can we know where our students are in their writing skills with so little assessed, you may be wondering. Well, writing teachers are CONSTANTLY assessing while students write. Powerful writing teachers create strategy groups and plan conferences based on informal assessments done while students are in the process of writing. Powerful writing teachers give tons of feedback everyday based on countless observations, overhearings and conversations. I’ve worked for districts that are both “low performing” and “high performing” and in both situations your attitude is everything. Throughout the conference I was forced to face my current expectations of students. I’ve been guilty of thinking negative things or even worse, oh they are doing just fine, nothing to worry about with that student, move on….NO. One of the most important realizations I had during this incredible week was that writing is constant growing, learning, reflecting, thinking and as long as you live, it never ceases. There is always more to learn, more to improve, more to realize and therefore more to write. If you believe you and your students are writers, if you treat them that way and expect everyone lives the life of a writer, it will happen.